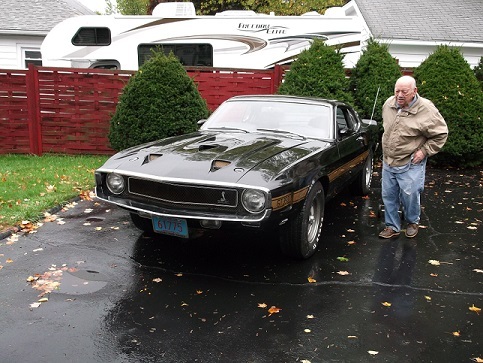 David Long is one of the founding father's of modern fuel injection. I also consider him a good friend. His Electronic Fuel Injection systems were extensively tested on 1968-1970 Shelbys and were the basis for today’s modern electronic fuel injected engines. Fred Goodell, Shelby's chief engineer, said the Conelec EFI system was ten years ahead of it's time. Automotive fuel injection dates back to the 1950's, but it was not until the 1960s when electronics were introduced. David Long was a former Bendix employee, that left to start his own company in 1968. 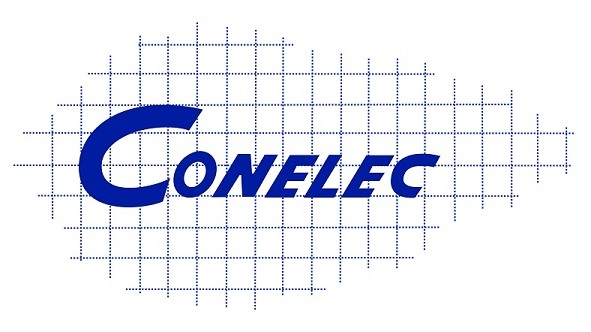 The company was called Conelec (a contraction for Consolidated Electric). Long's low pressure, fuel pump design was revolutionary. The electric pump had a minimal amount of moving parts. The pump was used in aircraft. It was also used by the US military. 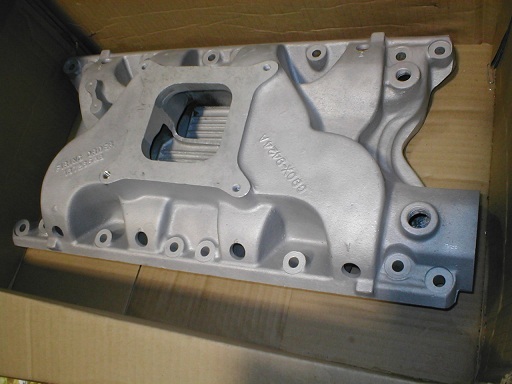 Conelec also did prototyping for other automotive manufacturers and marine applications. 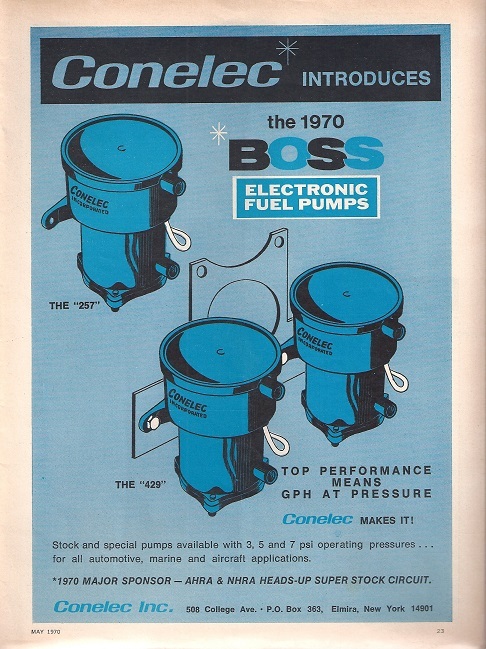 Conelec's fuel pumps were popular with drag racers. 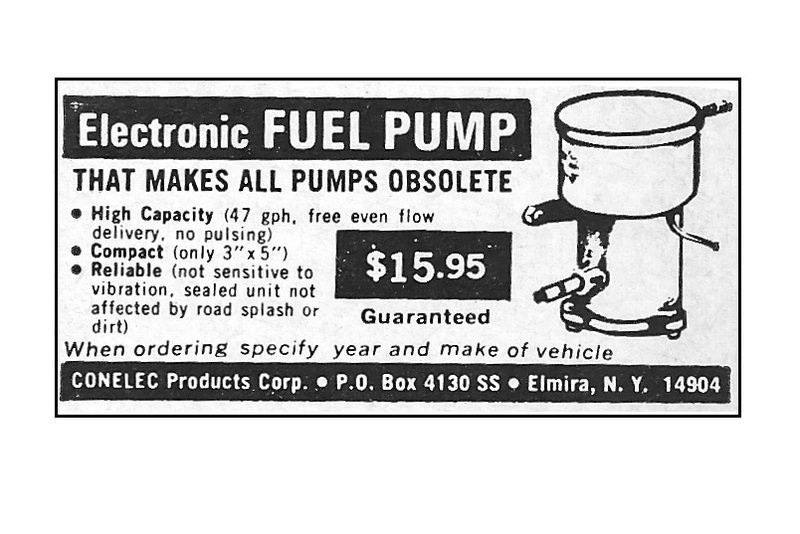 These original Conelec fuel pumps still work like new. Fred Goodell was always looking for new ways to make the Shelby unique. The company experimented with a variety of things for the coming years. They were always experimenting with things like supercharging and fuel injection. Several different fuel injection systems were tested on Shelbys. The Conelec system was by far Goodell's favorite. Goodell actually called Long, “the greatest electronic engineer I have ever run into”. His correspondence to his boss, Carroll Shelby, confirmed these feelings. I think it's safe to say, the history of these engineering cars is under appreciated. 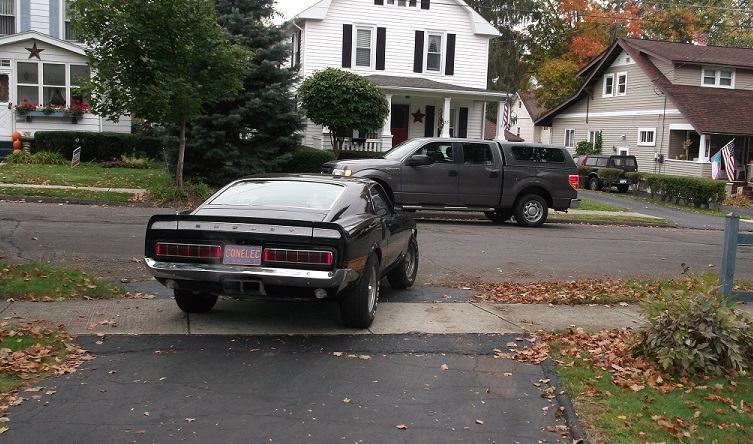 The research indicates there were at least 18 fuel injection cars between 1967 and 1970. Several of these cars were Conelec cars. These cars were sent to New York for conversion at Conelec. They were tested and returned to Shelby. 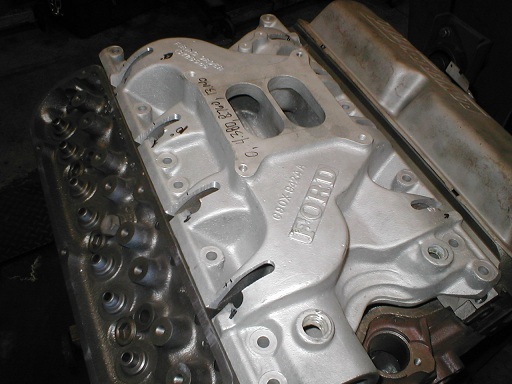 When Shelby Automotive completed their evaluation, the fuel injection parts were removed. At least some of these parts would remain with Fred Goodell. This picture was taken at Long's home. 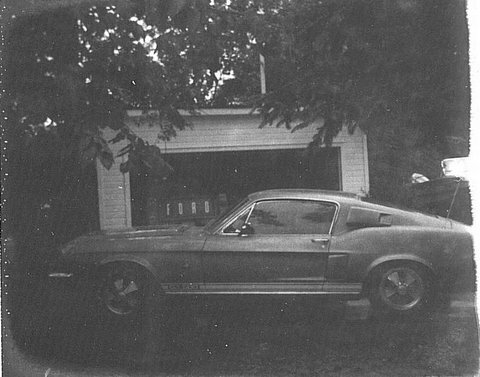 The car was a gold fastback and is most likely Serial Number 41. 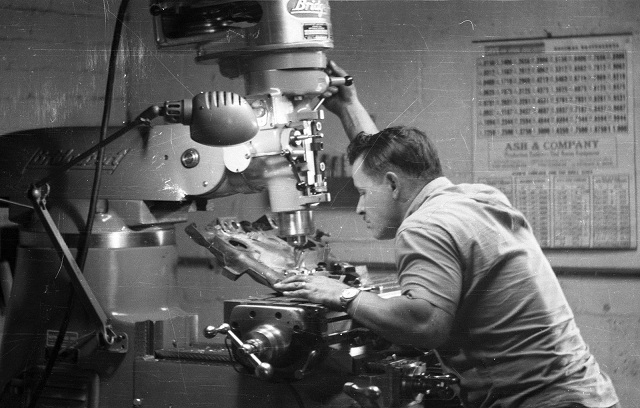 This is a vintage picture of the California Special prototype that was equipped with the Conelec EFI system. The car is called "the Green Hornet". David Long remembers the car. 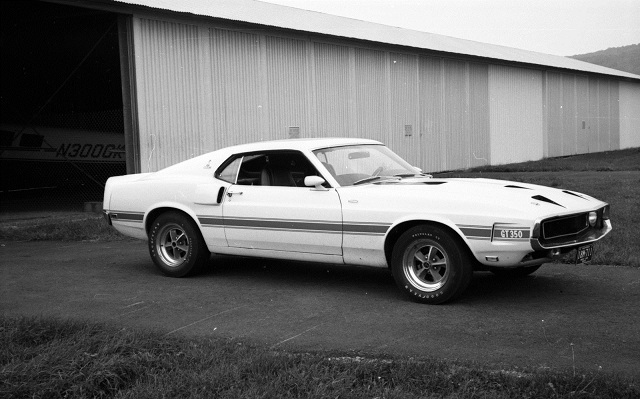 The picture is courtesy of the Shelby American Automobile Club files. This 1969 Shelby (Serial Number 9F02M480657) was extensively tested and was found to be very reliable. The badge on the side says "Conelec". The picture was taken in New York at Long's airplane hanger. 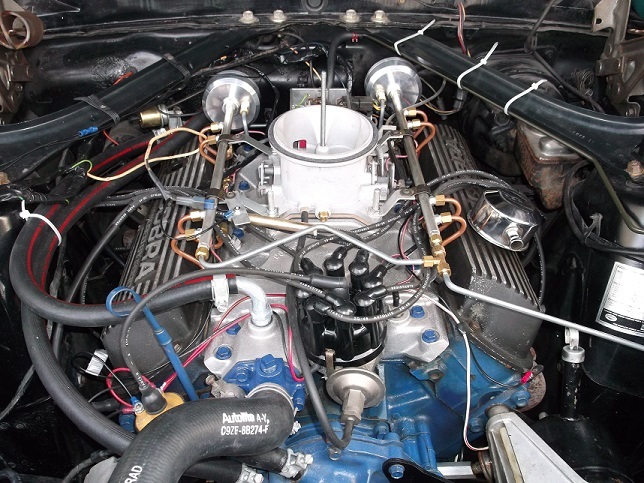 This 1970 engine is one of the first 351 Cleveland engines produced. Long tells me Ford had a small fortune in the development of the new engine. They were eager to see what the Conelec system would do for fuel economy and emissions. The Conelec system improved both. 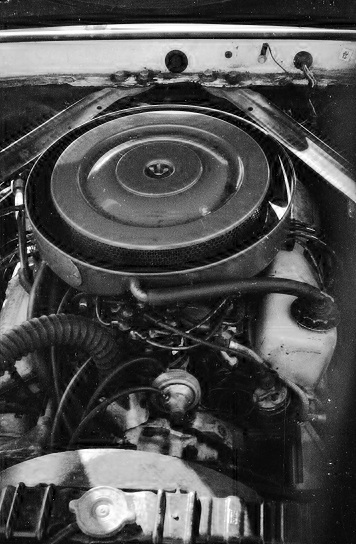 This engine was installed in a 1969 Shelby by Conelec. 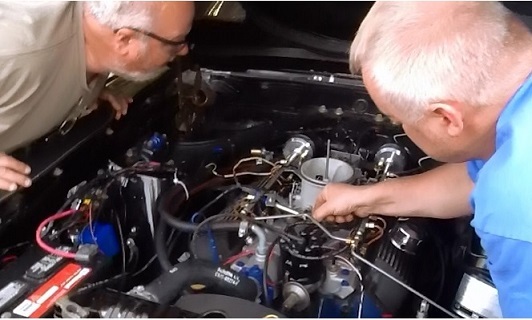 Here a Cal Long, David's brother, prepares an intake manifold to receive the injectors. Long was briefly able to attend SAAC 37. 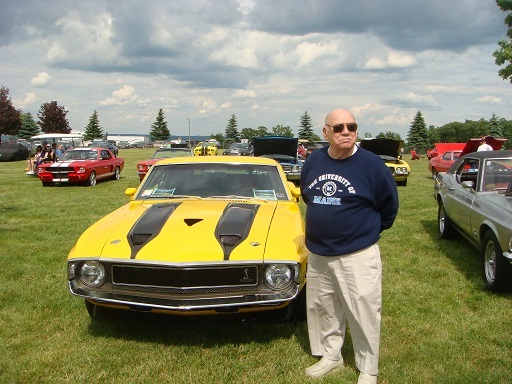 Here he poses with a car in the show field. After I met David Long, the founder of Conelec, he mentioned to me that he still enough parts to build one complete system. We both agreed the system was priceless and needed to be preserved. It was at this time we first discussed the legacy project. David worked tirelessly testing and cleaning the 45 year old parts. He was able to locate all the original blueprints and spec sheets, which he graciously shared with me. Many of the photos, records and even a home movie were also shared by David's son, Chris Long. 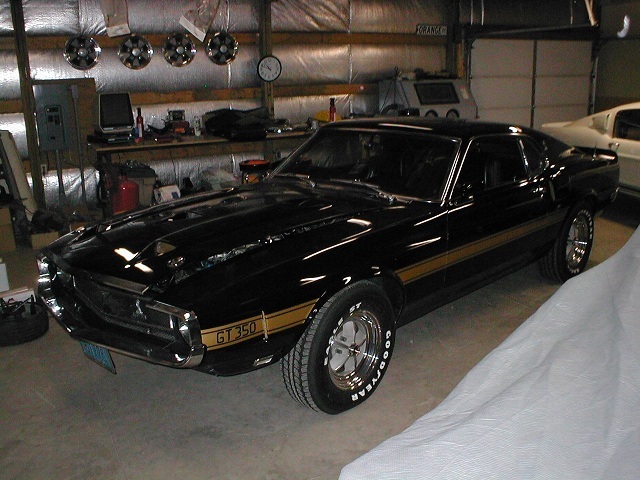 1969 GT350 # 1088 was originally sent to Town and Country Ford in Charlotte, North Carolina. The car is an original body panel car with the original drivetrain. It was repainted to black from the original Jade. It is now part of the Conelec story. To the best of my knowledge, this is now the only functional, vintage Conelec EFI Shelby. Long inspects #1088 and pronounces it fit for the conversion to EFI. He would later say the fuel rail plumbing was better than anything his good friend, Fred Goodell, ever did. This 1969 C90X manifold was sectioned so the fuel injector ports could be properly positioned. 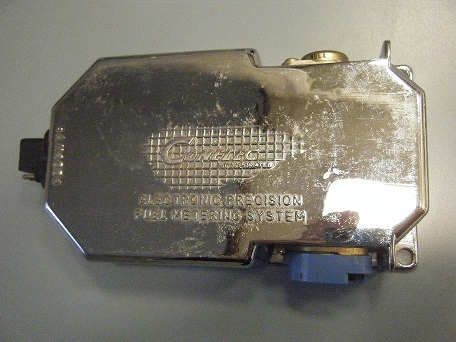 The Conelec system uses a "transducer" (not an injector). Here is manifold that will be used on the car. 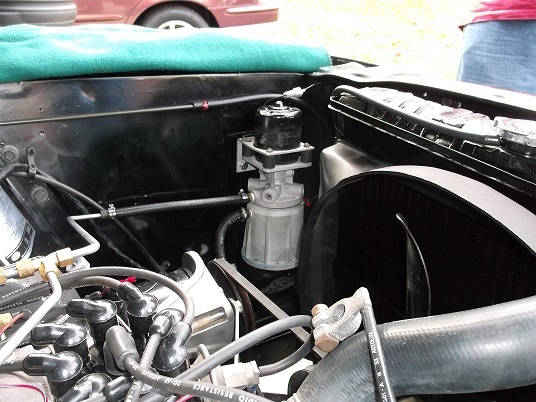 You can see every runner has a fuel injection port carefully located in the correct spot. The center has also been milled out and the heat passages on the bottom have been blocked off. If there is one thing EFI likes it is plenty of cold air. These aluminum hockey pucks are actually "accumulators". They were machined from original blueprints drawn by Long. Each accumulator has a special, diaphragm that keeps the pressure constant inside the fuel rails. Chris Long was instrumental in the assembly of the system. He had experience with the vintage Conelec system and his education as an electrical engineer was invaluable. The accumulators are mounted on the rear of the intake at the end of each fuel rail. Paul Fix, from Classic Tube in Lancaster, New York created a return line for the EFI system. 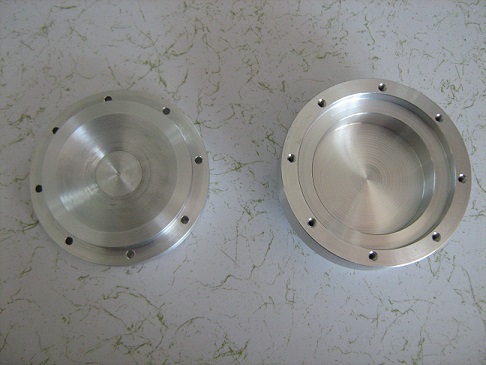 He manufactured a steel line that is a mirror image of the supply fuel line. This line returns unused fuel to the tank. This is not an expresso machine! 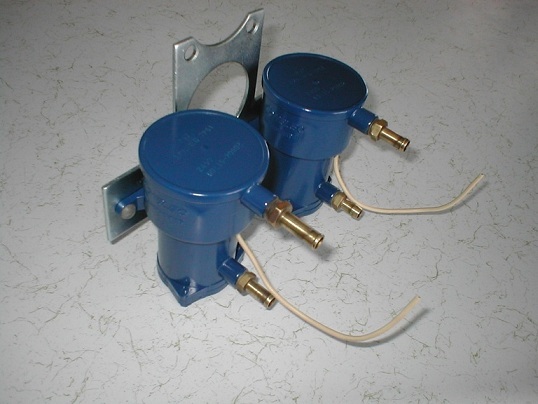 This is a high pressure fuel pump called the "pumpulator". Originally, it was designed to be mounted in the wheel well of the car. For the purposes of testing and evaluation this one is mounted inside the engine bay. This is the only known pumpulator to survive. This is the low pressure fuel pump. It sends fuel to the front of the car. Mounting this pump can be a challenge with the dual exhaust system used on the Shelbys. 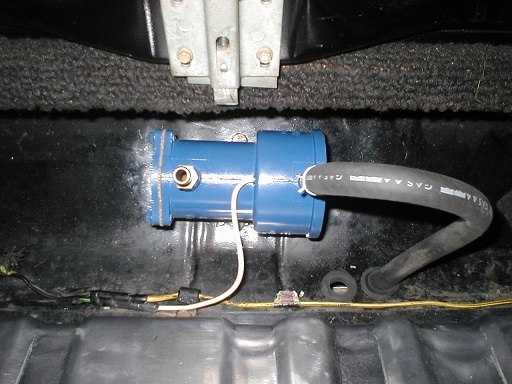 This one is mounted in the trunk and is wired directly into the Ford wiring. This is the brain of the EFI system. This computer is what really makes the Conelec system unique. Imagine a computer in the 1969 Shelby. All remaining computers have been secured at Coralsnake World Headquarters along with the original blueprints. A reproduction of the EFI wiring harness is being built by Alloy Metal Products. They are an OEM supplier to Ford and still make quality reproduction wiring today. Unfortunately, the fuel injection harness was custom in 1968, so finding the original connectors was nearly impossible. Special molds are being built for the connector plugs. The installation took three days. David and Chris Long worked long hours. After a few set backs and some fine tuning the machine roared to life. The first order of business was to get David Long a ride. Chris Long got the second test drive. During the build several people asked why the EFI was never used by Ford on the Shelbys? The demise of the Shelby Automotive program and the independent closing of Conelec together undoubtedly combined to shelve the EFI program. Fred Goodell was correct, the system was years ahead of its time. Actually, EFI wouldn't appear on a Mustang until 1984. Prepare for the Conelec re-introduction...coming soon. Acknowledgements: The Conelec story could not have been told without the help of Meredith Bradley (Long), David and Chris Long. Phil Murphy, Scott Fuller and Timothy Lea contributed their own knowledge and expertise to the project. Vinny Liska and Rick Kopec of SAAC contributed information about the EFI cars. The build team includes Paul Fix, Robert Steigerwald, Keith Hill, Scott Fuller, Armando @ Creata, Andrei, Jim Thayer and Exact Metrology. The logistics team of Ron Disher and Bob Heineman made the trip to Conelec possible.